I’ve lived in an HDB flat all my life and there are so many experiences that I'll always keep close to my heart - like dragging yourself off the sofa to play badminton with neighbours when they come running to your house on a Sunday, or alerting your parents the moment you hear the garang guni man. 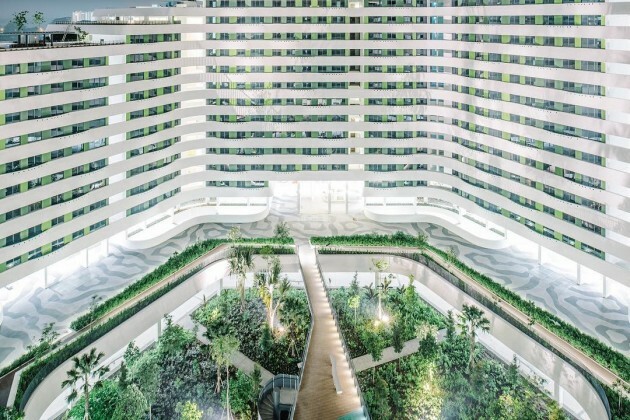 The SG heartlander experience is really quite something, and while home is where the heart is, many of us take our 4 walls for granted, even now as HDB towns have changed so much - especially in the newer estates like Punggol. 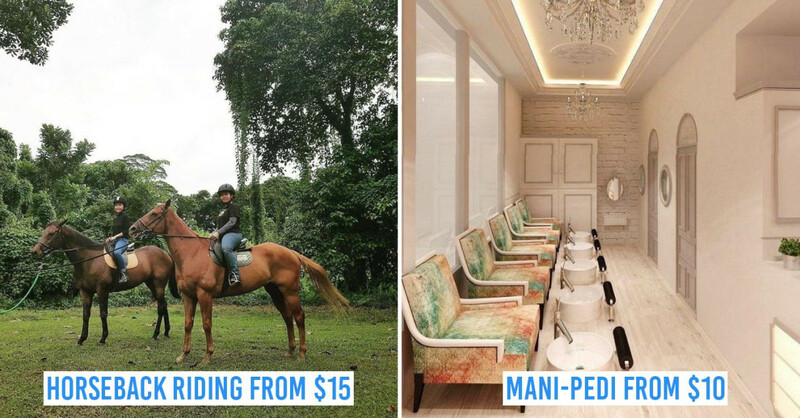 There are new "upgrades" in HDB estates that won't look out of place in much fancier private neighbourhoods. Here are 10 brilliant ways your neighbourhood got zhng-ed - from automated car parks to rooftop solar panels! My dad takes forever to get to the car and occasionally forgetting where he parked it the night before never helps. So when I saw this automated car garage scene in Mission: Impossible, I wished my multi-storey car park was just as high-tech. Good news: your dream car park is closer than you think. Tucked away behind Block 1 at Changi Village is Singapore’s largest mechanised HDB car park. 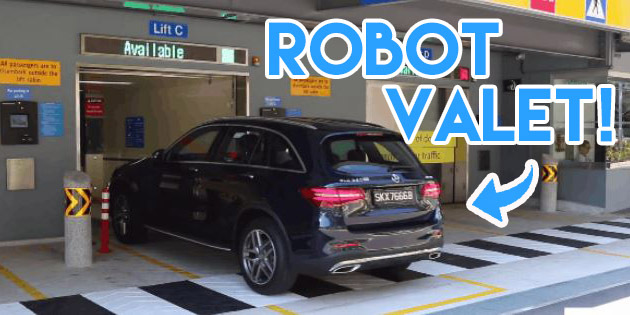 Simply drive your car into one of the 4 lifts and you can scoot off to satisfy those nasi lemak cravings without having to wait 30 minutes for a parking lot! I can’t deal with all the panic attacks every time I try to reverse into and out of my lot. With this automated system, the car will be rotated to ease driving out. For parking-noobs like me, this car park is a winner. One of the most annoying things that can happen mid-workout is having your upbeat music cut because of a dying phone. And no, listening to "natural music" doesn't provide the same motivation for your workout. 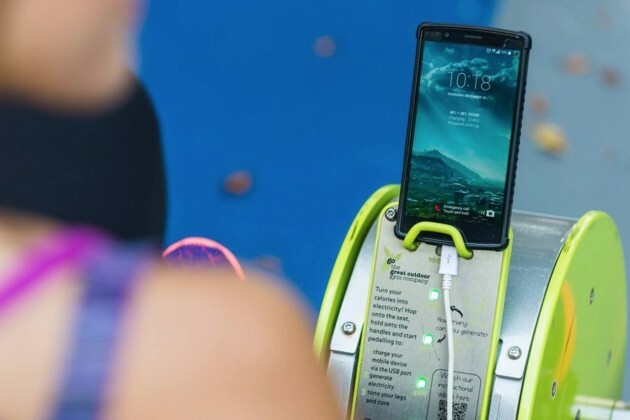 Thankfully, if you live at Bukit Panjang, you'll be able to keep your phone charged as you keep fit if you have a USB cable on hand. 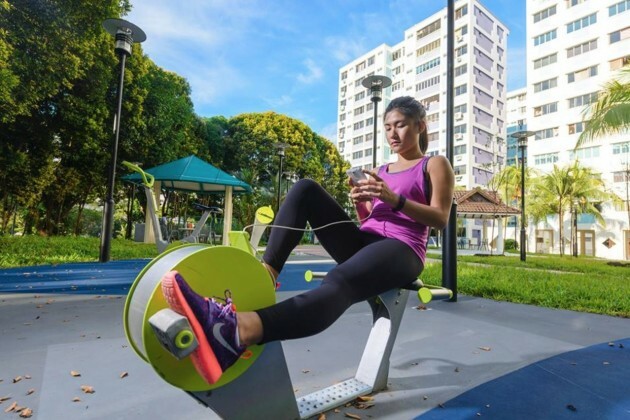 From cross trainers to recumbent bikes, Playpoint Singapore had this HDB fitness corner installed with equipment fitted with USB ports to convert the energy you generate in your workout to powering your phone. 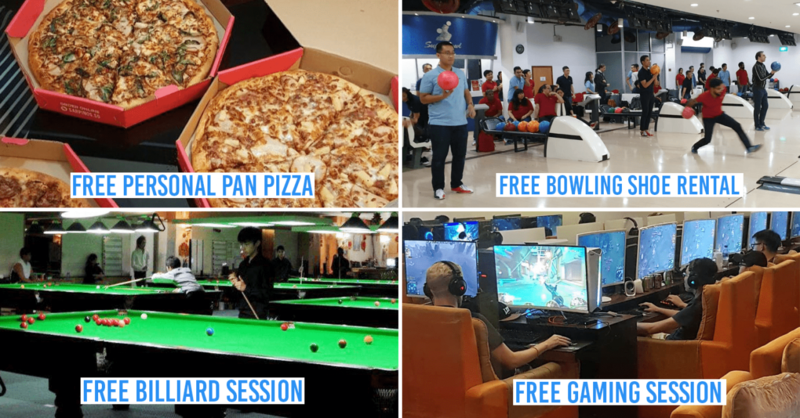 It’s the first of its kind in a public housing estate and will take almost 3 hours to revive an entirely-flat phone, but at least you can catch up on your Youtube subscriptions while getting a good workout! 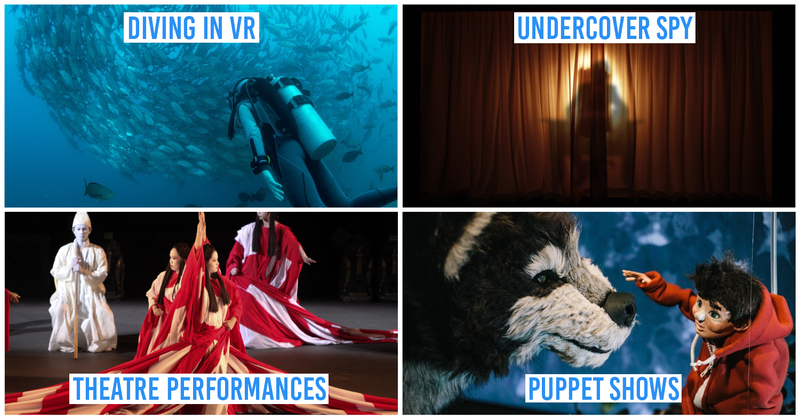 If this looks familiar to you, it’s probably because you’ve visited the Cloud Forest at Gardens by the Bay. Unfortunately, this wall of green in the West doesn’t have a waterfall, but the concept of vertical greening comes close. 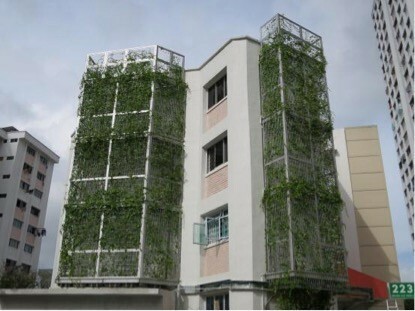 This is the VERTI.GRO System which greens up the building and reduces the glaring effect from the walls. Besides murals and fresh coats of colour, adding a twist of nature completely changes the outlook of the neighbourhood. If you love this concept, you might just want to find out more about HDB’s plans for Tengah as a “Forest Town”. I know I’m not the only one who feels a tinge of nostalgia when I see ahgongs sitting around blue-tiled tables to play chess. 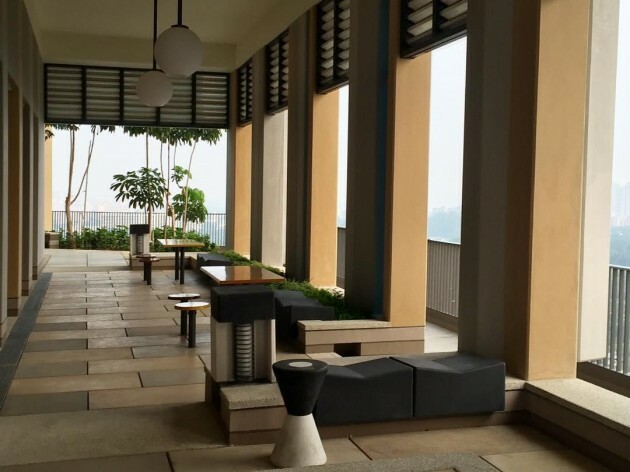 This modern void-deck on the 36th-storey of Skyville@Dawson might not look like the ones we grew up with, but the communal space will hold the same charm, creating fond memories residents will carry with them for life. The last thing you need is to wake up and be greeted by yet another face of the concrete jungle. 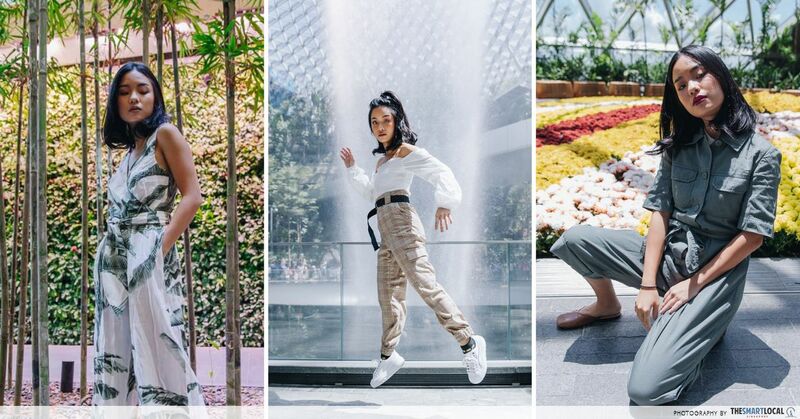 It happens a lot in tiny Singapore, so whenever there’s a space of green or an open field, we take advantage of it. 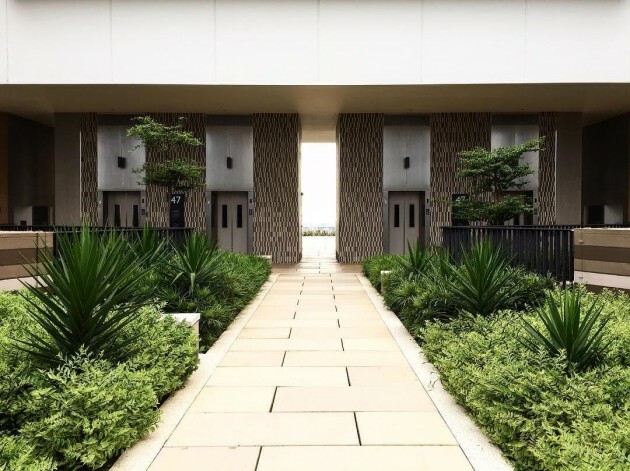 With a wave of eco-inspired designs making their grand entrances into new housing estates, you can expect your new BTO estate to score when it comes to being eco-friendly. 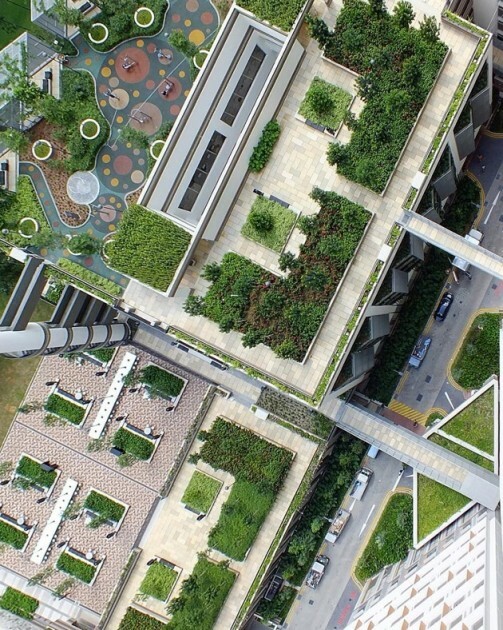 For example, these rooftop gardens help to make neighbourhoods cooler and can be used for community gardening initiatives too! I don’t own a bicycle but I can almost imagine the frustration of having to chiong just to chope a ‘parking lot’ for bikes every evening. 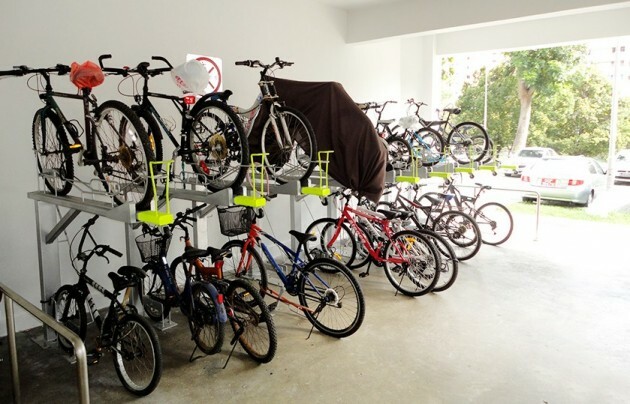 With the Dual Bicycle Rack System, finding a space for your bike will be a breeze. These systems stack another bicycle on top of existing ones, so more bicycles could fit in the existing space without cluttering the area. Treelodge@Punggol was the first HDB Estate to have them installed and since then, many more have also sprouted in other areas of Singapore! Solar technology isn’t new, but expanding it beyond industrial processes sure is. If you didn't already know, some HDBs now have solar panels that help generate electricity to power all the little things in your life. 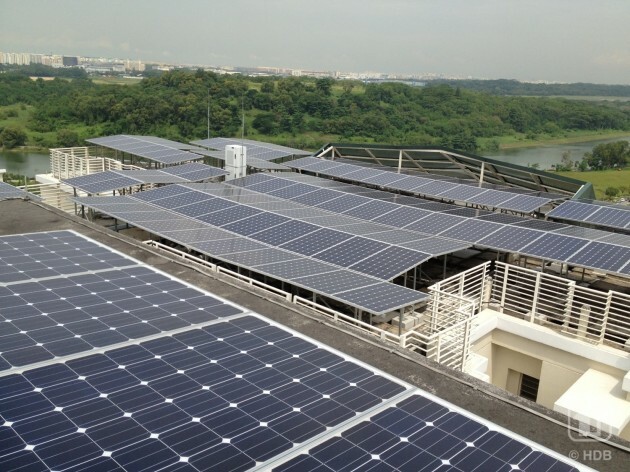 From lifts and water pumps to even common area lighting, these solar panels help reduce our reliance on unsustainable energy sources, helping propel Singapore into the future. 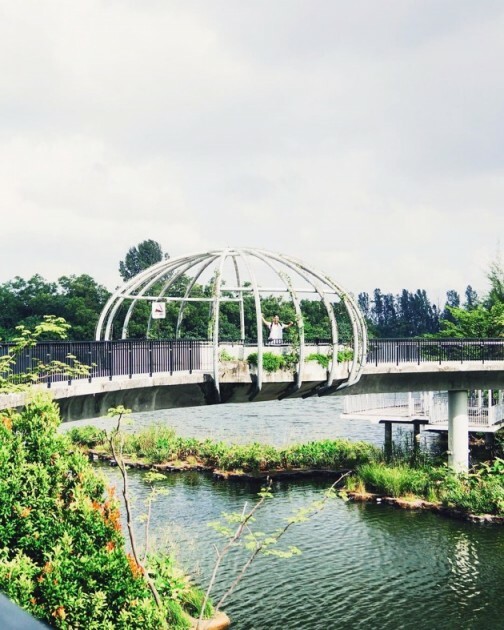 Don't dismiss these floating wetlands along the 4.2km Punggol Waterway. If you've been thinking that these "floating patches of grassland’ are just part of nature, you'd be wrong - they're actually critical components that help maintain and promote biodiversity in the area. 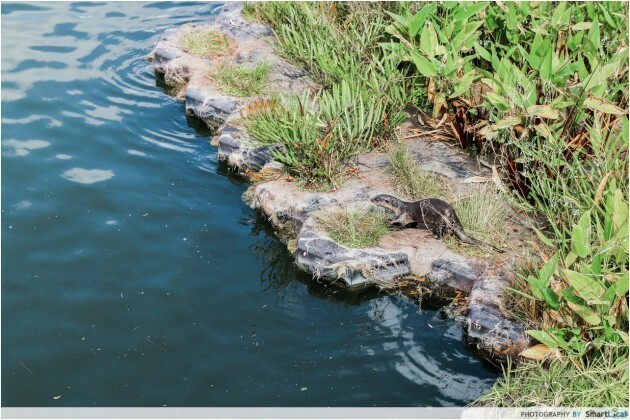 Developed in-house by the HDB, the surrounding freshwater-tolerant mangroves and floating wetlands is home to an extensive range of wildlife, including 92 species of birds, 11 species of butterflies and 17 species of dragonflies. If you’re in luck, you might even bump into a few adorable otters crossing the waterway! From falling face flat into the sand to whispering through whimsical-shaped poles, we’ve grown with the playgrounds in our hood. 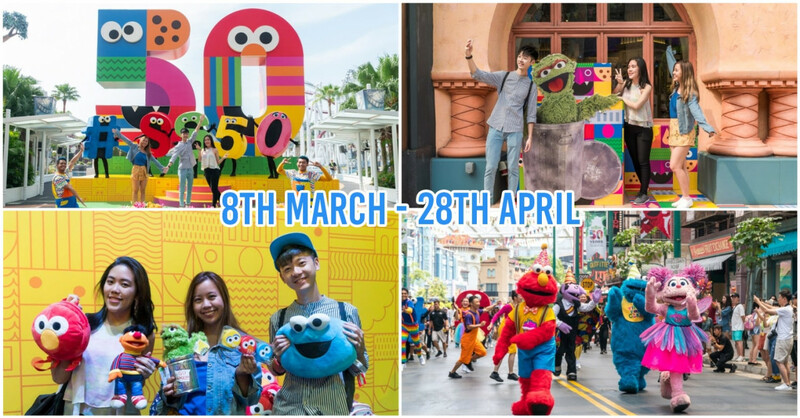 But spatial expansion and upgrades aren’t the only tricks up HDB’s sleeves: in land-strapped Singapore, we take the fun up, up, and away! This playground allows children to channel their inner gymnasts through swinging, hanging, sliding or simply hiding in these vertical ‘ribbon mazes’. The ribbon-like structures also become walking surfaces at some points as well. One of my greatest joys as a kid was being pushed in a swing. It was like taking a thrilling Uncle Ringo pirate-ship that never failed to turn a bad day around. No doubt we’re the lucky ones, because wheelchair-bound children never had a taste of such simple pleasures until last year. 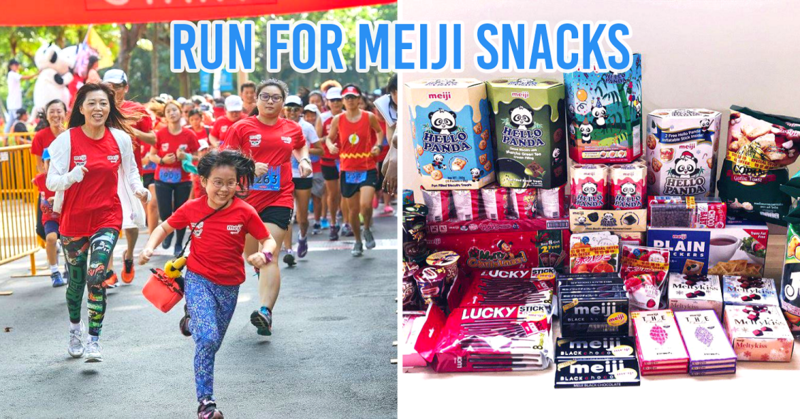 The concept of all-inclusive playgrounds took flight last year, and Bishan-Ang Mo Kio was an initiative by NParks and the National Council of Social Service (NCSS) to bring smiles to these children. There are more of them coming soon! Find out more about all inclusive playgrounds here. 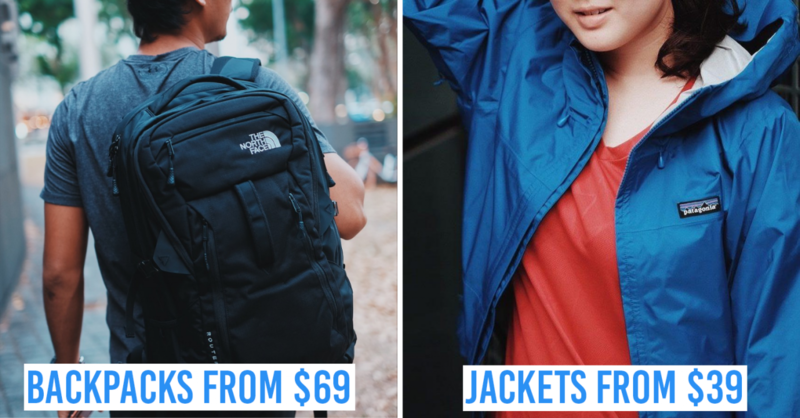 I grew up in a cosy HDB estate and it was one of the greatest gifts my parents had given me. My crib might be nested in relatively ulu spot of Singapore *cough*Yewtee*cough* but I’ll never trade it for a neighbourhood where neighbours stay strangers to each other. Just as sandy playgrounds have disappeared, replaced by rubber-tiled ones for hygiene and safety reasons, many innovations by HDB are improving the living experience in HDB estates for everyone. So, the next time you’re in the hood, linger a little longer - take a walk in the park and check out the greenery, watch a few kids chase their friends around our new playgrounds, or simply soak in the atmosphere with your neighbours during the golden hour. 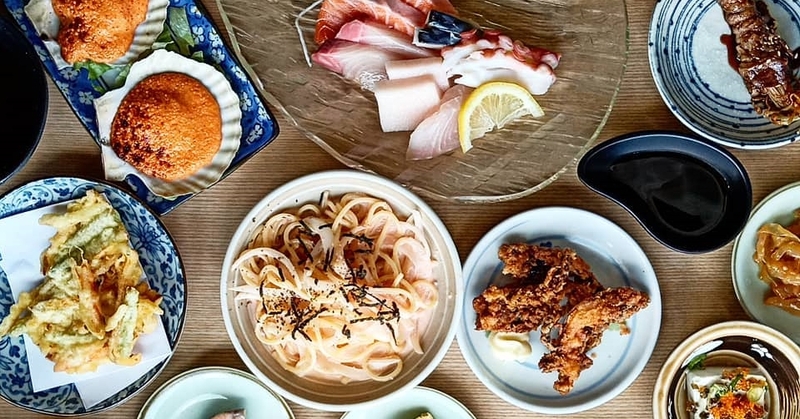 Whether your estate’s as old as your parents, or in a younger estate like Punggol, it’s our shared experiences in these heartwarming places that make us proud to call ourselves Singapore’s heartlanders.